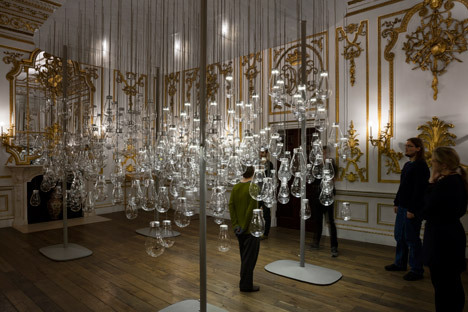 Curiosity cloud is a project by mischer’traxler for Perrier-Jouët Champagne. Throughout the year 2015 martin robitsch studio supported vienna based design practice mischer’traxler in the development and manufacturing process of this kinetic installation. Please visit mischer’traxler for more infomation. ‚Curiosity cloud’ celebrates a moment in nature and plays on the interaction between humans and the natural world. Commissioned by Perrier-Jouët, the project was first presented in the Victoria and Albert Museum during London Design Festival 2015.